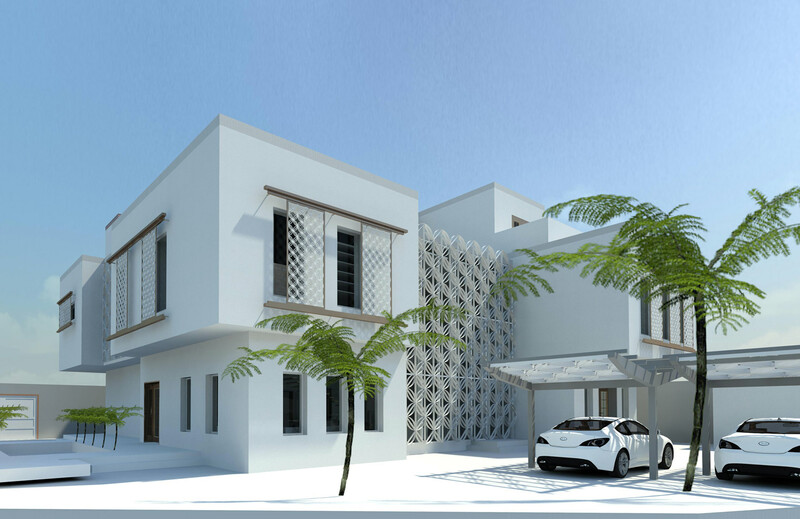 Artform Architects were commissioned to design a bespoke new build house for a private client in Doha. 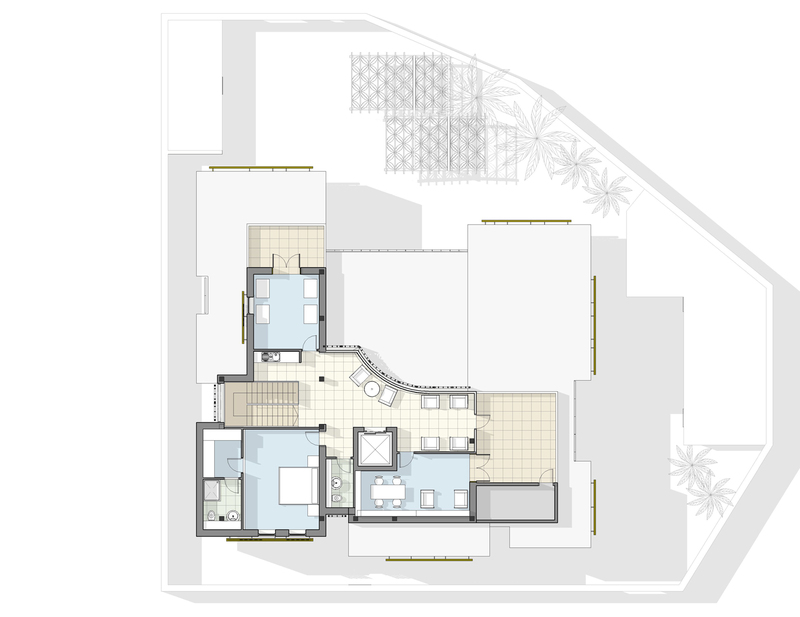 The brief was for a 3 storey family house incorporating a variety of rooms and accommodation to suit the client’s specifc needs and requirements. 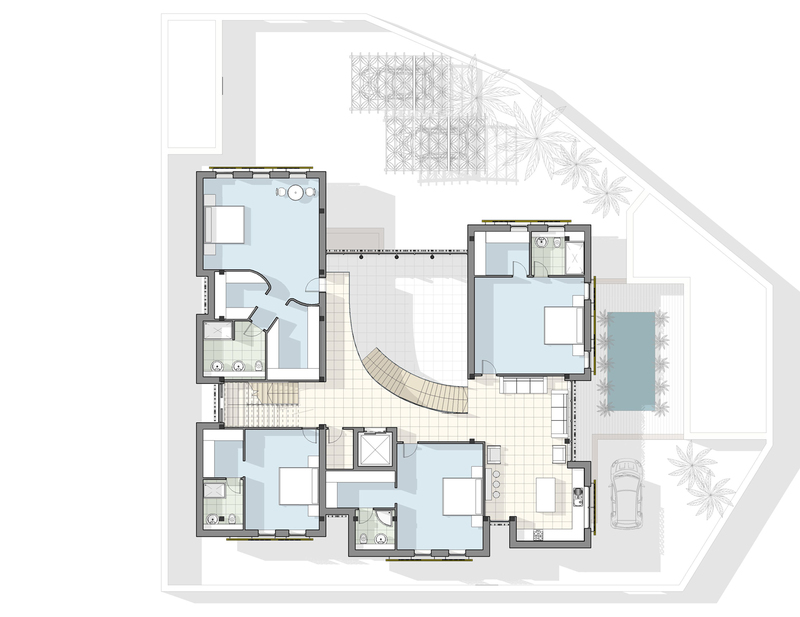 The design is a modern interpretation of a traditional Qatari courtyard house and has a double height space at the centre of the plan which contains a feature spiral stair. 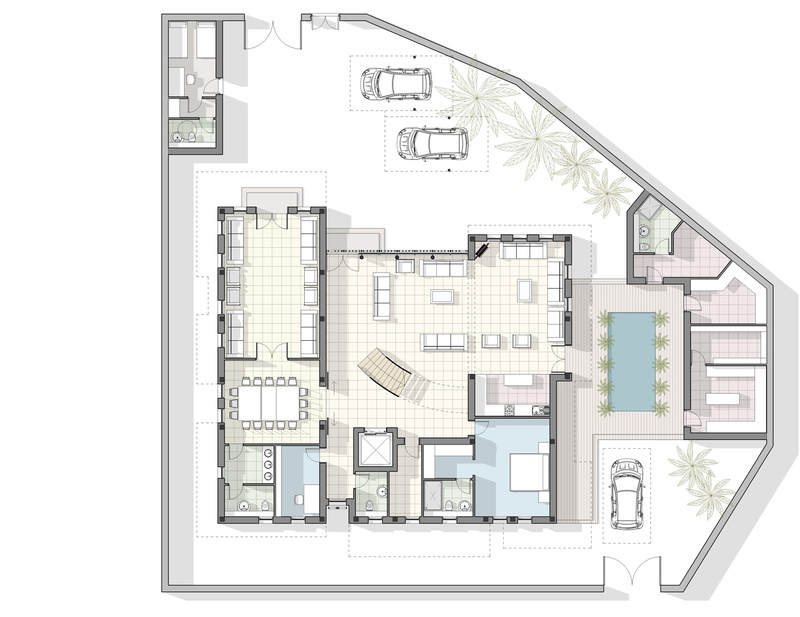 All other rooms are arranged around this space, including a guest wing, home office and a lift. Externally the house responds to the local contect and environment with light coloured stonework and with window glazing covered by ornamental screens for solar shading.